The CMO Club is pleased to announce an initiative to expand their CMO Club Cares Program to include helping 10 worthwhile charities at the October 2015 Fall Innovation and Inspiration Summit. The CMO Club cares program brings influential CMOs together with the causes they care about most to drive value to all. 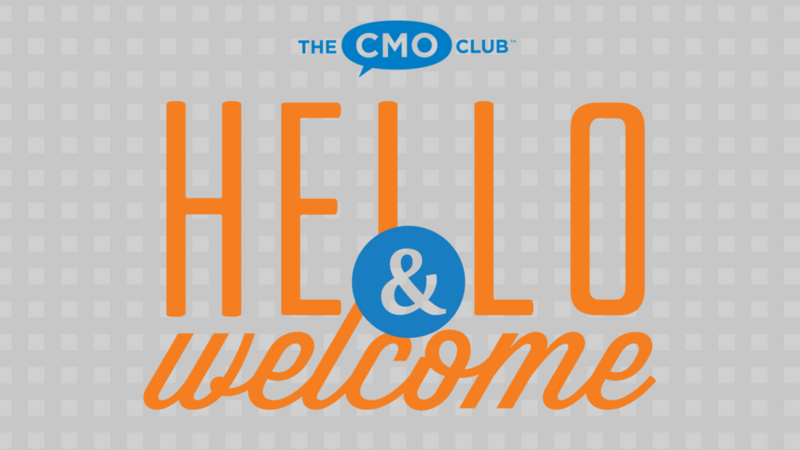 The CMO Club’s mission is to help its members connect and solve their biggest challenges within a candid, trusted and sharing environment. The members of The CMO Club are made up of senior marketing leaders who have little time to help the charities dearest to them but have a great deal of insights and advice they could offer. The CMO Club will serve as the catalyst to help its members with their commitments to charities. During the Summit, The CMO Club will facilitate problem-solving and creative brainstorming sessions for the charities with the CMOs in attendance. Together, the CMOs will collaborate with the charities to solve some of their biggest business challenges. 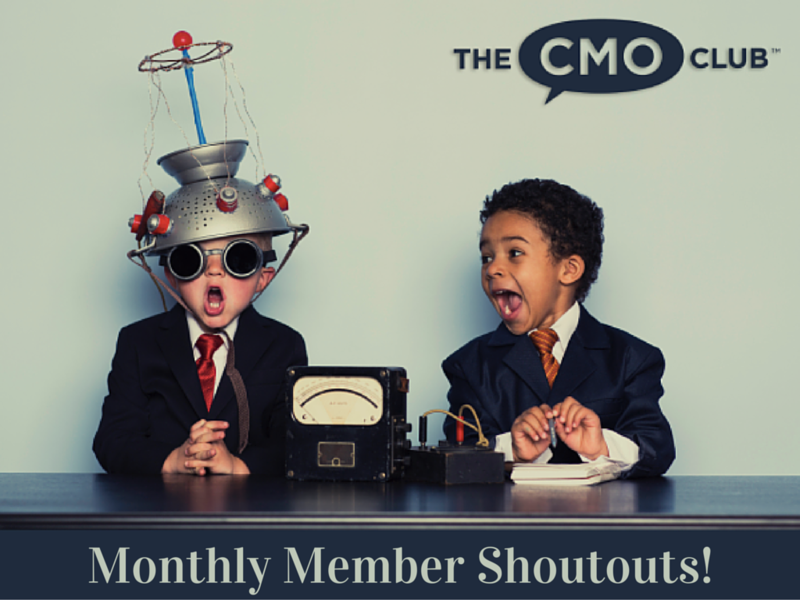 After the Summit, The CMO Club will continue to support CMOs with their commitments to help. Commitments will be made by CMOS at the Summit; small or large, financial or non-monetary in nature. Future summits will showcase progress and success stories of these commitments. The CMO Club will continue to serve as the catalyst of networking by bringing senior executives together with the charities that they care about and with the charities that will benefit most from our members’ insights. The Clearity Foundation was launched in 2008 to help ovarian cancer patients and their physicians make better-informed treatment decisions based on the molecular profile of the tumor. Their goal is to help women with recurrent ovarian cancer live longer, healthier lives by enabling a more individualized approach to therapy selection. The First Star Academies are inspiring an educational revolution to lift up the lives of abused and neglected teenagers amongst us. Less than half of foster youth otherwise graduate high school, and only 3% earn a degree. First Star is a college prep program for foster youth, run on university campuses throughout the 4 years of high school. 100% of First Star students graduate high school and 90% go to college! K9s For Warriors is dedicated to providing service canines to warriors suffering from Post-traumatic Stress Disability, traumatic brain injury and/or military sexual trauma as a result of military service post 9/11. Their goal is to empower them to return to civilian life with dignity and independence. MGFA is dedicated solely to the fight against myasthenia gravis, a severe muscular weakness disorder. MGFA serves patients, their families and caregivers through a network of chapters, support groups and programs. Each chapter shares the vision of a world without MG. Program for Torture Victims rebuilds the lives of torture survivors from over 70 countries who have stood up for freedom, equality and human dignity. Dedicated to solving homelessness in Los Angeles County through policy analysis, program design, resource development, and advocacy in support of agencies and local governments that serve the homeless. SOS Children’s Villages builds families for orphaned, abandoned and other vulnerable children in 134 countries and territories, including the United States. Founded in 1949, SOS Children’s Villages provides children with the love and long-term support they need to shape their own futures – a stable family, quality medical care and the opportunity to learn. Through their family support and care programs, medical centers, schools and emergency relief efforts they impact the lives of millions of children and families. Speak Out Against Bullying, Inc. Speak Out Against Bullying, Inc. advocates for social and civic changes to inspire a call to action against bullying through public awareness and education, providing resources to the community at large. Speak Out Against Bullying, Inc. is a public safety program on Bullying Awareness and Prevention. Their mission is to prepare and deliver nutritious meals to homebound seniors and other vulnerable residents across Los Angeles, regardless of age, illness, disability, race, religion or ability to pay. A coalition of public and private water agencies, business and community leaders, and national organizations united in communicating the importance of water to the economic, environmental and social well-being of America.